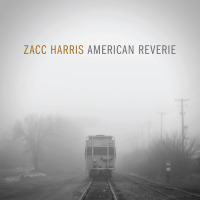 Minneapolis-based guitarist/composer Zacc Harris is mainly represented as a player here, interpreting a wide variety of American songs in the company of double bassist Matt Peterson and drummer Lars-Erik Larson. The selection of material does cover some obvious Americana folk selections, but there are several surprising choices (and one original tune). The word "reverie" in the album title is appropriate, though, as all of the arrangements have a contemplative, sometimes daydream-like quality. "Shenandoah" opens in familiar territorya beautiful traditional tune that appears frequently on Americana albums. Harris' guitar sound is clean, and the tune is played chord-melody style. But even here the arrangement includes a new recurring chordal riff, and slight re-harmonization to bring the song into jazz territory a bit more. Woody Guthrie's "This Land Is Your Land" opens with an unexpected bass riff (reminiscent of the "Mission: Impossible" theme), which is also used as an interlude between verses. Willie Nelson's "On the Road Again" takes the set list out of the usual territory for the first time. The deliberate pacing renders the tune more like a recollection than the expected road anthem, and there's a bit of echo and processing on the guitar at the end which makes a ghostly effect. But the 1964 Ronettes' hit "Be My Baby" (complete with Phil Specter writing credit) really takes things out of the comfort zone. It fits in surprisingly well, and the dramatic shift to a rock drumbeat like the original at the end feels right. Harris plays with listener expectations by not resolving the final chord sequence. Still waiting for that final chord, Zacc! "Take Me Out To the Ballgame" finds Harris on acoustic guitar, unaccompanied for the first chorus. The traditional song "In The Pines" uses over-driven guitar, even featuring a recurring rock riffa nice contrast. Harris' original "Carousel" has a folk-like sound that allows it to blend with the rest of the program. Wilco's "Jesus, Etc.," and "Tennessee Waltz" are notable for the melody and solo contributions from Peterson's double bass (he also arranged "This Land Is Your Land" and "Tennessee Waltz"). This is not a flashy guitar trio, but the arrangements are full of fresh twists, all played with an understated warmth. Worth a second look by jazz guitar fans. Track Listing: Shenandoah; This Land Is Your Land; Long Black Veil; On the Road Again; Be My Baby; Take Me Out To the Ballgame; In the Pines; Simple Twist of Fate; Carousel; Jesus, Etc. ; Tennessee Waltz; Star Spangled Banner. 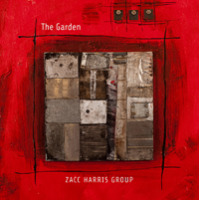 Personnel: Zacc Harris: guitars; Matt Peterson: bass; Lars-Erik Larson: drums.